Arrival in Delhi, as per your flight schedule pickup from New Delhi airport and transfer to hotel.Overnight stay at hotel. After breakfast, full day city tour to visit Jama Masjid, Red Fort, India Gate, President House, Humayuns Tomb, Lotus Temple, Qutab Minar. Overnight stay in hotel. Morning transfer from New Delhi to Agra, arrive and check in hotel, after some rest visit Taj Mahal, Red Fort, Itmad-ud-daulah, Sikandra, Overnight stay at hotel. 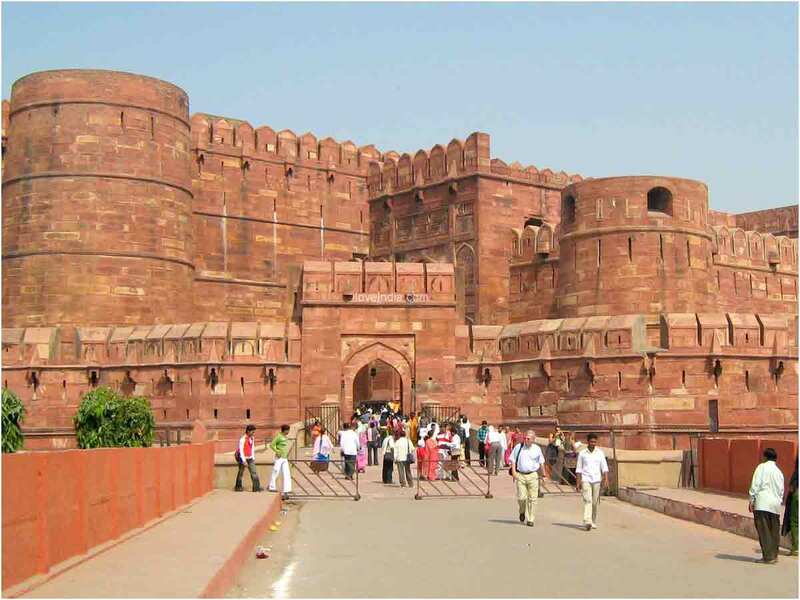 After breakfast, transfer from Agra to Jaipur, on the route visit Fatehpur Sikri, arrive Jaipur and check in hotel, evening free, Overnight stay at hotel. After breakfast, Full day city tour, excursion to Amber Fort, City Palace, Jantar Mantar, Hawa Mahal, Albert Hall, Overnight stay at hotel. After breakfast drive to Pushkar, en route visit Ajmer. On arrival check in hotel, After some rest, visit the temples in Pushkar, evening enjoy sunset at Pushkar Lake, Overnight stay at Hotel. After breakfast, transfer from Pushkar to Jodhpur, arrive and check in hotel, after some rest, enjoy sightseeing in Jodhpur, visit Mehrangarh Fort, Jaswant Thada, Umaid Bhawan, Clock Tower & Sadar Market, Overnight stay at Hotel. After breakfast, Transfer from Jodhpur to Udaipur, on the route visit Ranakpur temple, arrive Udaipur and check in hotel, evening free to visit the lakes and Jag Mandir, Overnight stay at Hotel. After breakfast, Full day city tour to visit City Palace, Jagdish Temple, Pichola Lake, Fateh Sagar, Crystal Gallery, Ghangharu Ghat, etc, Overnight stay at hotel. Morning at your leisure, later as per your flight schedule transfer to Udaipur airport to take your flight to New Delhi, Arrive Delhi, pick up from airport and transfer to hotel, day at your rest or go for local shopping, later in the evening as per your flight schedule transfer to New Delhi airport to tale your flight for your onward journey. Accommodation in 01 A/c Room on twin sharing basis in the above mentioned hotels. Elephant Ride in Jaipur & Boat Ride in Udaipur. All pick up, drop, transfers and sightseeing as per itinerary by A/c Toyota Innova Van, including all toll tax, parking and driver charges. English speaking tour guide at all places. Air Tickets from Udaipur To New Delhi. If you have not decided yet or wants to customize tour itinerary or hotels listed above in "10 Days Golden Triangle with Rajasthan Tour Package Rs.188000/-", then we can change the travel itinerary and make a personalized, tailor-made holiday package, especially for you. We can modify this travel package as per your itinerary, budget, duration and the tourist places you would like to visit, including transportation and airfare should be included or not. Please fill the form below to contact us.